Product #60645 | SKU 6-217 | 0.0 (no ratings yet) Thanks for your rating! 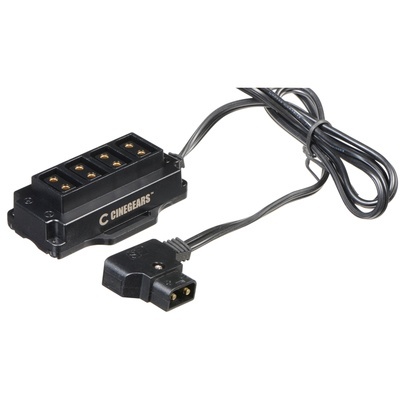 The Four-Port D-Tap Power Splitter from Cinegears converts one D-tap port into four D-Tap ports. The Cinegears Four-Port D-Tap Power Splitter converts one D-tap port into four D-Tap ports. It comes with built-in surge protection, keeping your gear powered and protected.